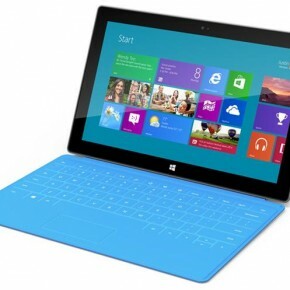 Surface is the new tablet PC by Microsoft, which runs Windows 8 OS. In comparison to iPad Surface looks much better and had plenty of additional feature. Unlike iPad which runs mobile OS i.e iOS it runs real operating system Windows 8. Microsoft has announced that different versions will be available featuring ARM and Intel CPUs and the display is a 10.6″, 16:9 widescreen HD Display (Surface), or Full HD Display (Surface Pro). The product was announced by Microsoft CEO Steve Ballmer at a Los Angeles event on June 18, 2012, at Milk Studios. For the CPUs, the Surface with Windows RT will use an Nvidia Tegra CPU. 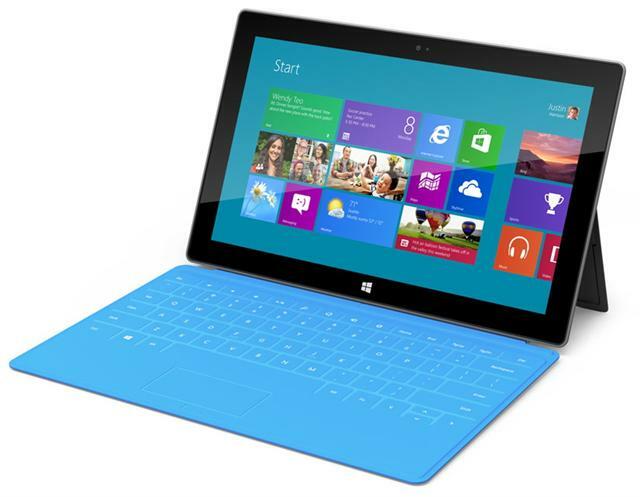 The Windows 8 Pro Surface will utilize an “Ivy Bridge” Core i5 quad core chip like the chips in current Windows laptops. Surface looks like a laptop with touch screen. Where as Ipad is just a iPhone with bigger screen and same goes with tablets running Android system. Surface is basically like iPad + Workstation + USB + HDMI+ detachable keyboard and probably run most of the program running in desktop version of Windows. According to Microsoft, Surface would be made available around October or November this year. The units will initially be sold only in the Microsoft Stores in U.S. and thereâ€™s no much information about pricing. Microsoft Surface Screenshots running windows 8 are given below. Is Apple iPhone 5’s New Retina Display the Best Smartphone Display?